Are you looking for information on the company UAB Vengata in Vilnius located Lithuania who sells Red Bull? If so, read below to read one buyer’s experience with this company. 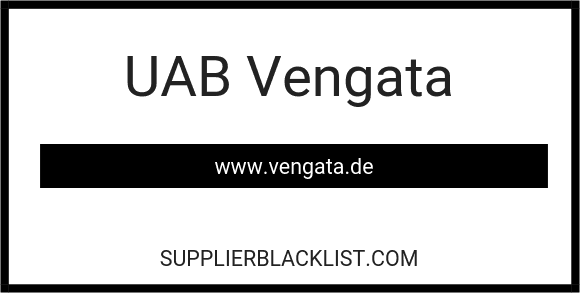 Also you will find related search links to explore more about UAB Vengata in Vilnius on Supplier Blacklist and across the web. 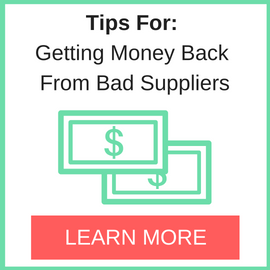 Don’t accept order with deposit where is written that you are obliged to deliver the entire amount not payed by the final buyer to your company otherwise you will incur for sure in serious problems. Need More Info on UAB Vengata in Vilnius? 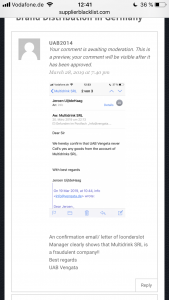 If you need more information, you can click the below links to search for more submissions about UAB Vengata in Vilnius on Supplier Blacklist as well as go to the search results page on Google for more reviews online about this company. 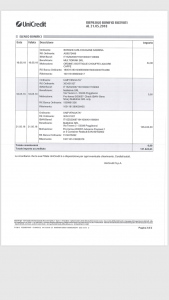 Perform a Supplier Blacklist search for more reviews on UAB Vengata in Vilnius. Search Google for UAB Vengata in Vilnius Reviews. 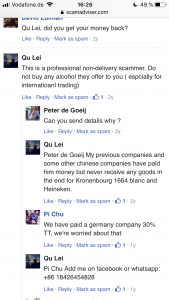 An confirmation email/ letter of loonderslot Manager clearly shows that Multidrink SRL is a fraudulent company!! A Belgian customer also advised me he made a full collection of capital, interests and legal fees. 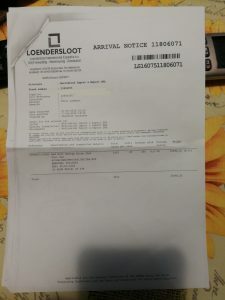 Also it is shown on Mr Van Genderen post he collected the money. It is important to act, there are ways to recover the credit, if we just write here we don’t collect the money. Both the civil case and criminal case has been filed against Mr cestone! It’s exist also other victims, like the Dutch connection BV. Mr Cestone you think this all are taleban and Arabs? You a freaking Rassit and fraud! Wait up for German police which will kick you for long time in prison! We still not refunded from Multibirra!! Thank you for exposing this scam. You mentioned a link to “scam adviser dot com” . I am afraid we had to remove the link due to a POTENTIAL security risk. However, interested parties can certainly search for “Vengata” at the above mentioned site at their own risk. BTW, you mention a lawsuit and court action. if you could post a scam of the of the official results in the comments section (as an image), that would be help a lot to expose the scammers. Thanks! 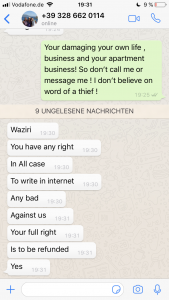 for their fraud on our company! For more information you can contact me or our lawyers! This not the first scams by mr cestone and co ! 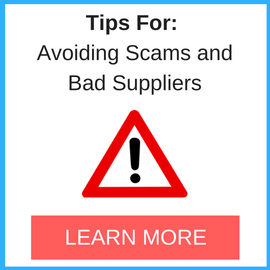 Please check scam advisor on the link below !